Four years ago, the Dana-Farber Cancer Institute launched an internal tool called Clinical Pathways that aimed to provide its oncologists with an electronic roadmap to the best treatments available for individual cancers and their current stage. The goal: to provide all cancer patients, whether seen at Dana-Farber’s research facility in Boston or any of its affiliated centers with the same, level of care based on the organizations latest clinical knowledge. Now Dana-Farber is brining Clinical Pathways to a significantly wider group of users via a new agreement with Philips which will see the clinical care tool integrated with, and deployed through, the Philips IntelliSpace Oncology Platform. 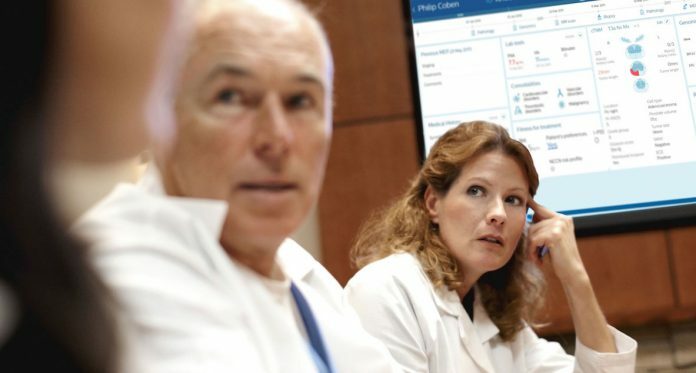 Via the partnership with Philips announced on May 31, information from Clinical Pathways will be delivered to treating oncologists through their existing electronic health record (EHR) platforms along with other health data including genomic testing to help develop the most appropriate treatment plan for each patient. One example provided by the companies of how Clinical Pathways can help patients is in myelogenous leukemia. In a patient who is progressing after first-line treatment there can be more than a dozen different possible genetic mutations causing resistance to treatment, as well as a number of targeted therapies based on these mutations—all with varying side effects. Pathways helps doctors quickly sort through all of the possibilities to provide the most appropriate treatment plan for each patient. For Philips adding Clinical Pathways is the company’s latest step to add as much valuable clinical insight as it can to the IntelliSpace platform. In late 2016, the company announced it would work with molecular clinical decision support company N-of-One which provides curated gene-drug advice for oncology.